Lime is often used to adjust soil pH in the yard and garden because it is effective and inexpensive. There are three non-caustic limes safe to use in gardens. Calcitic limestone (calcium carbonate), also called aglime, is an economical and safe way to lime your garden. Dolometric lime is similar to aglime but adds magnesium and calcium to the soil as well, which is helpful in regions with nutrient deficiencies. Gypsum (calcium sulphate), is another natural lime that's safe to use around people and pets. Lime may be exactly what your lawn and garden need to look lush and healthy. There are also caustic limes. These are quicklime (calcium oxide) and hydrated lime (calcium hydroxide), also called slaked lime. Caustic limes are dangerous and are not recommended for use in home gardens. The primary benefit of lime is simply that it works well. Many plants like a soil pH level between 6.0 and 7.0. Lower pH levels indicate acidic soil that can negatively impact a plant's growth and health. Lime raises soil pH very effectively. Ultimately, your soil will let you know how often it needs lime. Usually, however, homeowners can apply lime and then not worry about or check the soil's pH levels again for three to four years. At that time, you can apply more lime or skip it based on the results of your pH test. Lime is cheap and easy to find. You won't have to try to locate an exotic garden center to find it. You'll find lime at any local garden center or hardware store. Some plants like acidic soil and will suffer if you increase your soil's pH level. Azaleas, rhododendrons and blueberries, for example, prefer slightly acidic soil. 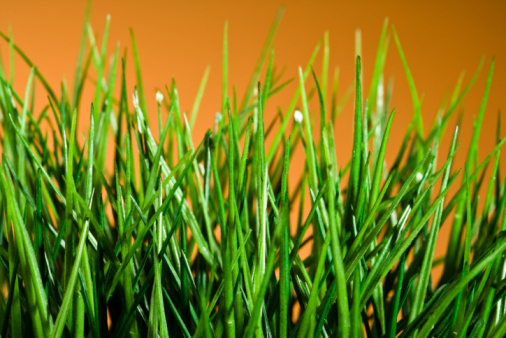 If you lime your lawn, you'll need to leave a perimeter around acid-loving plants so as not to damage them. It is possible to add too much lime to your soil, which raises the pH level too high and creates a host of new garden problems. It is imperative that you test your soil before adding lime to make sure that is what it truly needs. If it is, know that to raise the pH level by one point over 100 square feet of space requires 5 pounds of lime in sandy soils, 7 pounds in loamy soil and 8 pounds in clay soil. Wondering if lime fertilizer is poisonous to animals? Non-caustic limes are safe when used properly. However, even non-caustic lime can irritate the skin, eyes, nose and throat. For safety reasons, forbid children and pets from entering limed areas until the lime has been watered in with at least 1/4 inch of water. If someone does come in contact with lime, flush the affected area thoroughly with water.